This is one of two aerial videos that the Municipality of Patmos released in early March to promote the charming isle, located in the Dodecanese chain of islands. The municipality’s other official film appears below. 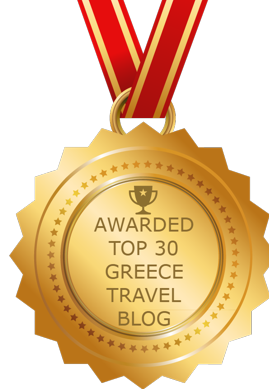 Simply delightful: We have enjoyed every island we have visited in Greece, but some simply feel more comfortable, delightful and memorable than others. Patmos is one of them. Although we have been to Patmos only once, for four days in May 2010, it feels like it was just yesterday — our memories of how the island looked and felt remain razor-sharp and almost palpable. Those feelings got tweaked a little last week when the Municipality of Patmos released two official videos to promote the island for 2016. The aerial film of the island’s beautiful sights and scenery included views of many places we saw six years ago, along with others we didn’t have enough time to visit. Surprisingly, the light and shadows in some of the video scenes looked the same as when we were there — particularly when the camera captures locations bathed in the golden glow of the setting sun. The clips include views of the island’s port town, Skala, the fortress-like Monastery of St John, Chora village, Grikos Bay, Kalikatsou Rock, and several of the island’s beautiful bays and beaches. Watching the films has been a reminder that we’ve got to get back to Patmos to re-experience its charms and enchanting atmosphere. And to enjoy another serving (or two or three) of the absolutely amazing roasted chickpeas from Flisvos Taverna ….